The Steelers have four games left and sitting at 7-5 the team likely has to win three of the four, if not all four to make sure they clinch the AFC North and make it to another postseason, their third straight. This Sunday, the Steelers take on the Bills, and you can make a wager on Betphoenix online sportbook. The key game of the stretch, which is rather obvious, is the teams’ Christmas day home game against the Baltimore Ravens, a team that already beat the Steelers 21-14 earlier this season, and also is tied right now with the black and gold at 7-5. Baltimore has a huge game this week, as they will be on the road Monday night against the New England Patriots, a team sitting at 10-2 tied with Oakland for the best record in the AFC. New England usually has issues with the Ravens, but at the same time they normally find a way to win their games in the regular season, so this week Steeler Nation, no matter the outcome on Sunday in Buffalo, will be pulling for Tom Brady and company. Back to the Steelers, after their game with the Bills they take on the Bengals on Sunday, December 18th. It was supposed to be a Sunday night game, but due to the lackluster mark of the Bengals and a much more attractive game between the Bucs and Cowboys, who were flexed into that role. The Bengals are still somehow in the mix for a possible playoff spot, but one more loss and likely their season is over. They have Cleveland this week, but then hopefully the Steelers will be able to crush their season with a loss in Paul Brown Stadium next week. The Ravens game is then followed by a New Year’s Day home game against the Browns, who could be headed towards the first 0-16 season since the Detroit Lions in 2008. Cleveland is a team that usually hangs around for about a half, then in the second half wilts away. They trailed the Steelers 14-0 at the half before making it somewhat interesting before the Steelers put them away in Cleveland a few weeks back. 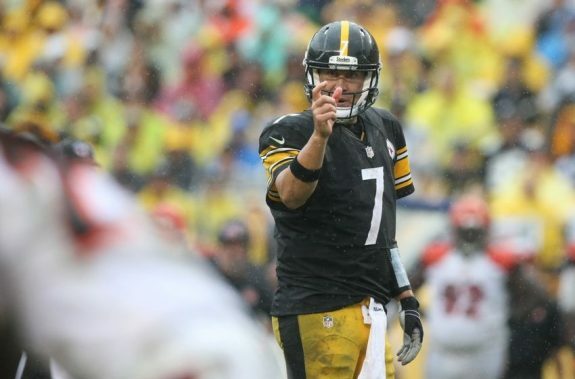 If the Steelers win all four games they will win the division, that’s a fact. If they are going to lose one of the four, the game to lose would be this Sunday against the Bills, and then they need to sweep the three games in the division, which should still be good enough to win the division. Be the first to comment on "Great Steelers games coming up, check betting lines at Betphoenix.ag"